Every human being constitutes three forms of elements of life. These are the three logical parts common to all human beings. When we feel something, it is within our body. We feel temptations from the flesh. Our body has immense nerve fibers that produce great sensational feelings. Whether we feel hunger or thirst, it eventually will be interpreted by the mind to take appropriate actions. Babies say and do exactly as they feel in their body. If they are sick, they will say they are sick. If they are hungry, they will describe the hunger. Feelings are natural instincts that can be controlled. Animals have their own natural instinct. When they feel cold or worm, they take appropriate actions. Many of our feeing goes with that of babies or animals. But when we grow in life, we tend to have a higher level of intelligence on top of that. We will start to develop skills that will help us control our feelings. Feelings are caused by the adverse condition of the external environment. We may feel sad or depressed or anxiety or pain or despair or any other kind of psychological disorder. These kinds of feelings are high level of bad feelings or emotional disorder. They are caused by a complex interaction of our body, our mind and our sprit. Psychiatry studies the general emotional and neurological disorder of human beings. But lower levels of feelings are like hunger, tiredness, thirst, drowsiness. Although feelings are the lower level aspect of humans , they are the basis and fundamental for the proper function of our thought and sprit. A thought is a process of conceiving something through the mind that will latter be executed by our body. A thought may arise from lower level which is from our feelings or from higher level which is form spirit. A thought is an idea that has a message in it. The message will be interpreted and implemented if we think it is good thing to do that. the level of intelligence we have on this regard help us differentiate the good from the bad. Smart people normally know many things or ideas that are useful for their own existence as well as for others. Smart people normally have highly functioning brain that will allow them do their jobs very effectively. People tend to be strongly active and smart in one ares of life but week on the other. This comes from exposure to new environments, high learning opportunities, education, teachers, family background, marriage partners, friends, and the environment they live in childhood. Latter on they will gain knowledge through the books they read, the help they get from smart people in the family or outside the family and this all is vital for the success of one's life. Through all these external exposure and the development of body, feelings and mind, one can gain immense knowledge and acquire great inheritance of richness in his life time. A higher level of intelligence is called wisdom and it comes from the development of one's spirit. How well a person develops his spirit differentiate him from others. Uniqueness and specially arise mostly from the spirit. The battle is hard on the spirit and mostly it also utilizes the other two logical parts of the human being. Wisdom can be acquired through the word and the Spirit of God. No matter how smart one can be, he will not be fulfilled in life unless he got some wisdom also. Fulfillment comes by doing what God wants us to do in the first place. It comes from completing the takes he has prepared for us from the beginning of time for his marvels glory and for faithfulness reward to us. Imagine that the sun says, "I don't want to do what I was supposed to do today ."
. The purpose of the wicked is therefore to hide the glory of the creator shinning from the created. By resisting, fighting, distracting, deceiving, obstructing, confusing, depriving, and degrading the wisdom of God in us. Our spirituality is what we believe God is constantly doing in our lives. We believe something what God has put in to our spirit and try to communicate through it. By faith we become one to the word of God and do what he tells us to do even if it is contrary to what our senses, feelings and our thoughts. Do we all need to control our feelings and be smart as much as possible and yet fail from the glory of God? No. what good is for a man to gain the whole world but yet lose his very self. I believe it is the same thing when we say: our heart or our soul or our desire. This is a very independent part of us that doesn't give too much attention to other parts. It is independent in a way that no body can alter the free will of it by force. If we think our mind is the source of our thoughts, and our feelings and sensation comes from our body, then our desire has to come from our soul/heart. There is definitely some kind of correlation and relationship that is going on between these as one dictates the other and one follows the other one. And this all ultimately determine who will take control of us in general. Whether we are a very sensible person or very emotional or may be we are too much in to thinking patterns, all has to give a way to our relationship to the son of God and our faithfulness to the Lord. This doesn't mean the others are not important for our existence in this world, but this is to emphasize our spirit is the main tool to serve, worship and see our Lord, Jesus Christ. In fact this is the thing that makes us children of God, the fact that we are born of the spirit in his likeness. I believe the whole idea of life is not to accumulate riches that will soon be destroyed by fire. 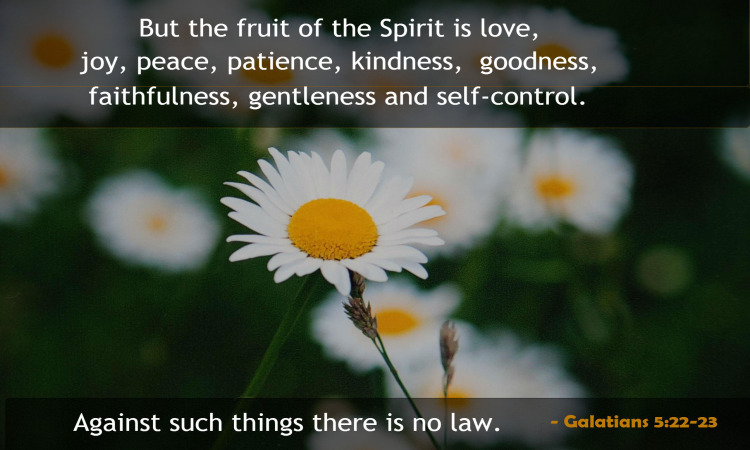 Rather it is to gain knowledge and understanding through the word of God, resisting bad feelings and temptations by gaining self-control and bear 80 and 100 fold the fruits for the kingdom of God. Romans 8:14 for if you are living according to the flesh, you must die; but if by the Spirit you are putting to death the deeds of the body, you will live. For all who are being led by the Spirit of God, these are sons of God. 15For you have not received a spirit of slavery leading to fear again, but you have received a spirit of adoption as sons by which we cry out, "Abba! Father! May the grace of the Lord Jesus Christ, and the love of God, and the fellowship of the Holy Spirit fill our spirit and mind with peace and satisfy our desires with his love, in Jesus Name, AMEN!